Get the most out of those long summer days... whilst they last. British summers may be fleeting, but when they hit they can hit hard. Longer days and rapturous heat gets us whipping out the BBQ, slapping on the sunscreen and soaking it all in whilst lounging out til the last drop of sunlight fades over the horizon. With the working week, those summer nights and weekends are all the more important for making the most of the outdoors. 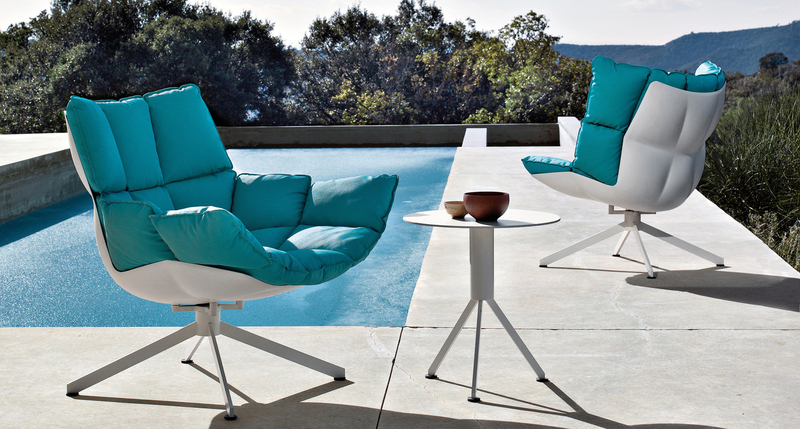 Getting the right outdoor furniture for you garden area is essential. 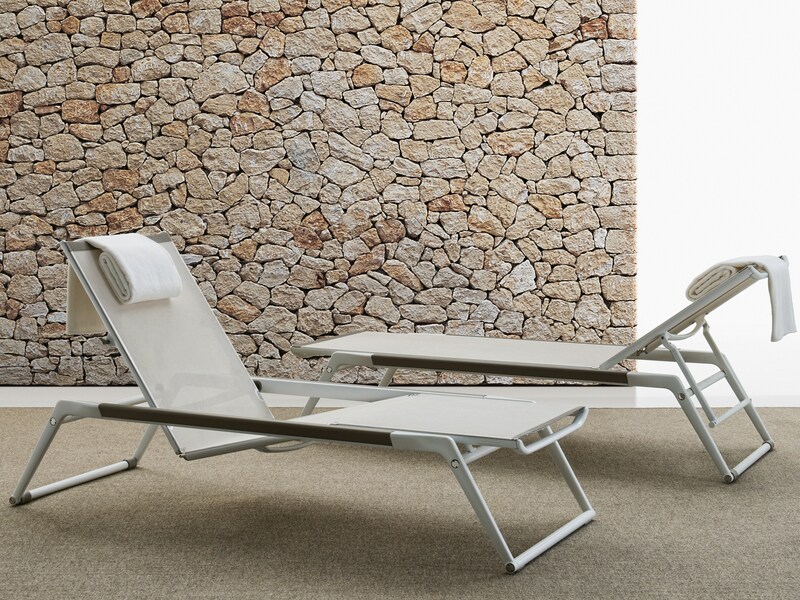 Whether you’re looking for sun loungers to bask in the heat, general seating and sofas for entertaining or tables for outdoor dining, we can show you a range of possibilities to maximize your space and make sure you have everything you need. 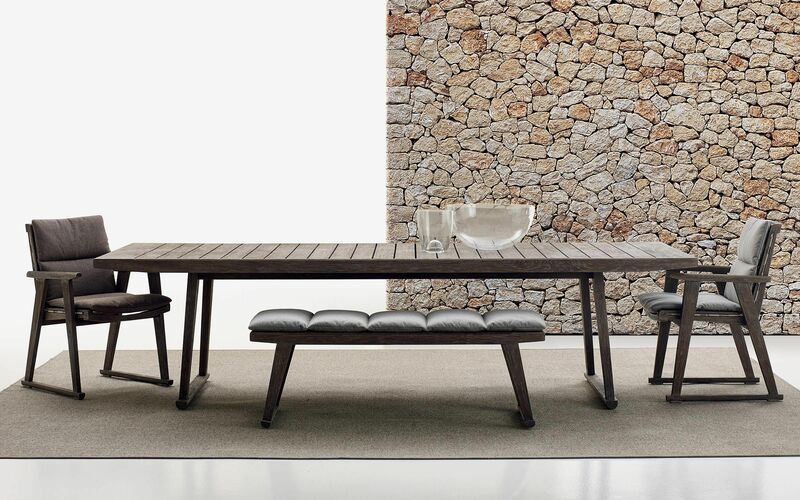 Outdoor furniture is largely designed for the aesthetic of the outdoor environment as separate for the needs of the Indoors. More thought in to exclusive materials and specialist manufacturing, results in the creation of products suited to gardens and outdoor areas. Quality and comfort are the core values of creating any seat. Careful consideration in to a products longevity is used when deciding on materials. These need to be designed to withstand extreme heat, be flexible and withstand changing conditions. 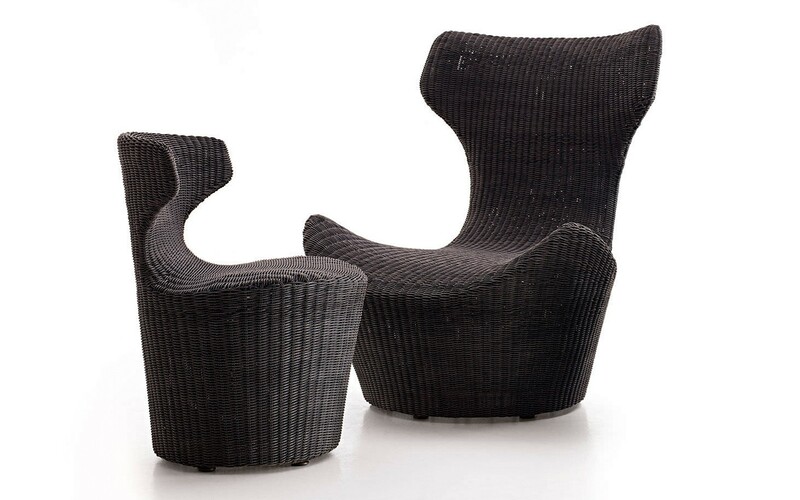 The Papilio Armchair by B&B Italia is built with polyethylene interlacing, a strong material that can withstand high heat, making it a commonly used substance. The Husk Armchair sits an an encased plastic shell which is formed from recycled polymers, making it an eco friendly addition to any home. Fabrics provide a comforting and relaxing material for armchairs and sofas. 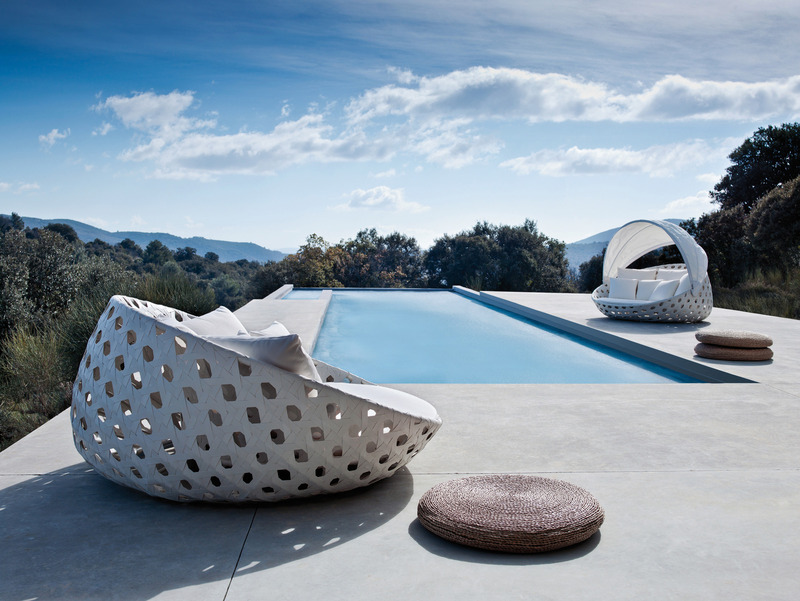 Many outdoor products are available in a range of fabrics specifically tailored for outdoor use. Hard wearing and durable, these fabrics are crafted using high quality materials making them suitable for outdoor use and have a low risk of sun damage or discoloration. We have a fantastic range of different outdoor products that have been specifically crafted to withstand the harshness of the seasons. Whether it is to fill your garden at home or if it is for larger outdoor commercial spaces, we can source a range of different products perfect for outside. Make sure to light your space with outdoor lighting solutions. They help to create an ambient vibe and calming atmosphere once the sun has gone down but the air is still warm. We provide a range of weather proof solutions with IP ratings specifically to protect from any water damage. It is said that up to 30 minutes in direct sunlight, without protection, can boost our intake of Vitamin D and provide us with up to 50,000 units! Without sunlight people can actually become sad 🙁 SAD or Seasonal Affective Disorder is a form of depression which can occur with changing seasons. A drop in serotonin levels means people can feel tired and low on energy. Getting sunlight means an increase in serotonin in the brain, which in turn makes people fell more calm and relaxed and overall happier! Whilst many people suffer with SAD in the winter when the days are dark and gloomy, making the most of the sun filled day is a must in our opinion. So whether you’re filling your summer days with sunbathing or having guests round for parties, get out there! Make sure to make the most of the luxurious weather and enjoy it.